Can the drastic 'America' redesign turn around the troubled SUV? 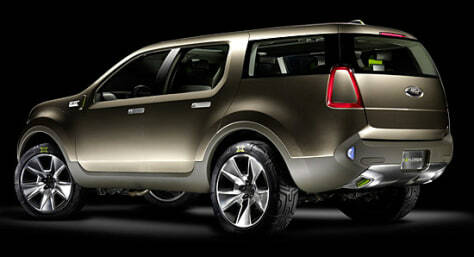 According to Ford designer Stuart Jamieson, the design of the new Explorer is intentionally low-key. Missing are the chrome door accents and hub caps found on many of Ford's current models, replaced by matte surfaces as well as simple lines and rounded edges.